Wow, do we have a special night planned for YOU! 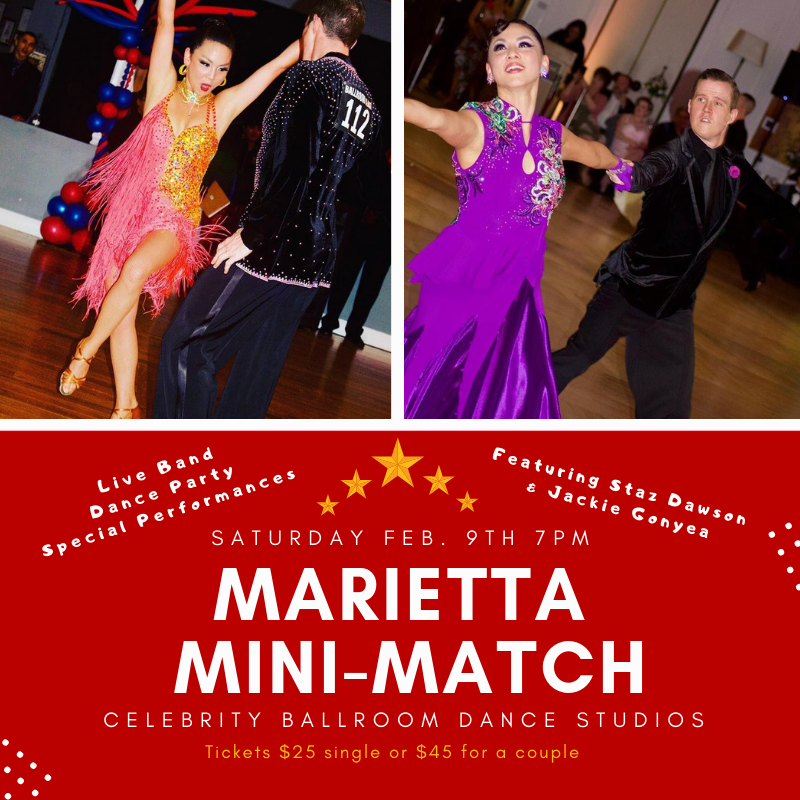 This Saturday February 9th is our Marietta Mini-Match and we want you to be there! We will be featuring special performances by professional dancers Staz Dawson and Jackie Gonyea at our studio along with a live band and dance party for all to enjoy. Tickets are still available and can be purchased in advance or at the door. Call 678-653-8003 to purchase now or stop by our studio! Tickets to enjoy this amazing evening are $25 each or $45 for a couple! Event starts at 7pm.